Inferno is a new pepper canister weapon from Cold Steel that will turn the biggest, meanest, most-violent criminal into helpless molten wax at your feet. Unlike other pepper sprays, Inferno deploys a highly targetable foam that contains 8% Oleoresin Capsicum and 2% black pepper. It dissolves into a liquid on contact (this liquefaction effect is tactically important, since other sprays remain "foamy" -like a pie in the face-and make it possible for your assailant to wipe the foam from his face and chuck it at you). One good shot in the face with Inferno will dilate the capillaries of the eyes causing temporary blindness. It will induce choking, coughing and nausea and most importantly trigger an immediate and massive sneeze reflex that will drag the super hot Habanero chili extract deep into the mucous membranes of the sinus cavities of the nose, throat and lungs causing them to swell up and prevent all but desperate life support breathing. .24 oz. An excellent, form of self defense. 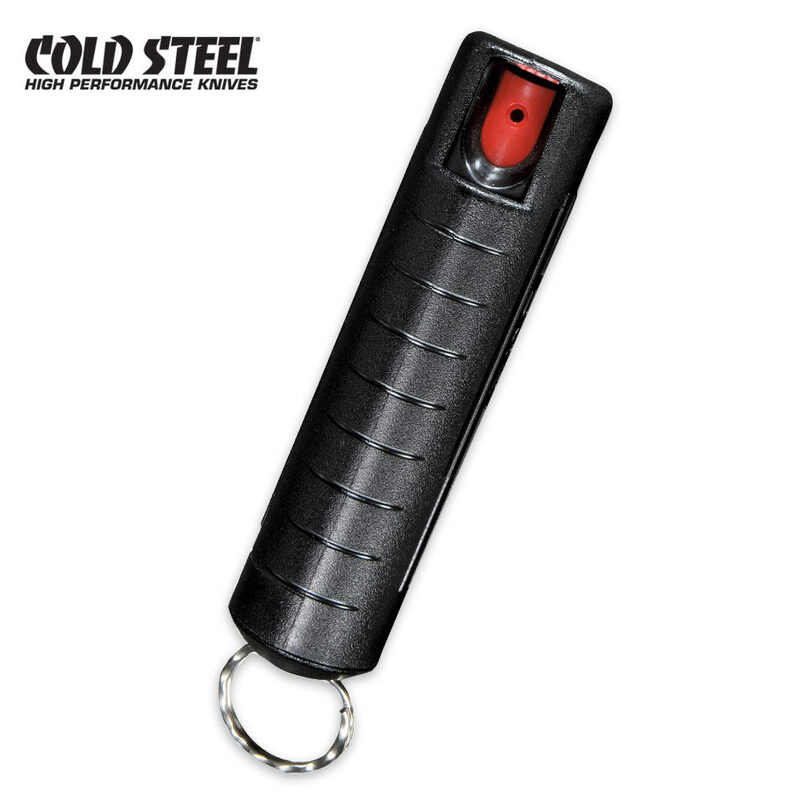 I saw a few videos on youtube demonstrating the power of this pepper spray. An excellent buy for a loved one, or personal use.